All FAIRWAYS AT CANYON LAKE homes currently listed for sale in Canyon Lake as of 04/20/2019 are shown below. You can change the search criteria at any time by pressing the 'Change Search' button below. 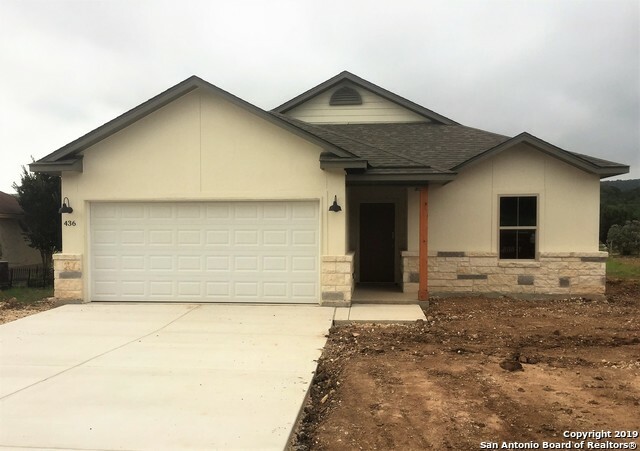 "A rare opportunity to own a beautiful new home on Canyon Lake golf course in a unique, private community. Great views! Quiet cul-de-sac street. Luxury mstr bth with separate shower & garden tub, double vanities & large walk-in closet.Open floor plan with multiple windows to take advantage of lovely hill country views.Granite countertops, stainless steel appliances, brkfst bar, porcelain tile flooring, upgraded cabinets, radiant barrier,covered patio. Minutes to Canyon Lake. Projected completion "